The commonly spoken languages are Kongani,Portuguese,Marathi, Hindi and English. Hinduism, Islam and Orthodox Catholicism are the main religions followed. Climate Warm and humid most of the year. May is the hottest month. Sees monsoon from June to September and a short cool season from mid December to February. The whole world knows Goa as the land of fun and frolic, land of mesmerizing beaches or the destination of most effervescent carnivals. However, one thing that instantly strikes you when you land in Goa is the culture. It is just the right blend of ethnic Indian Konkani and the reminiscent Potuguese. On one side there are vast expanses of beaches where the sun, sand and sea conjugate into crystal turquoise waters and on the other, there are lavish Konkani mountains and wild greens. The most popular Islands of this archipelago is Jolly Buoy Island in Mahatma Gandhi Marine National Park that offers excellent underwater views of coral and marine life and is an ideal place for snorkeling, sea bathing and basking in the sun on the beach. Cinque Island offers opportunities for scuba diving, swimming, fishing and camping along with beautiful underwater coral gardens and unspoiled beaches especially a sand bar joining two islands. Red Skin Island in Mahatma Gandhi Marine National Park offers a nice beach and spectacular views of corals and marine life. 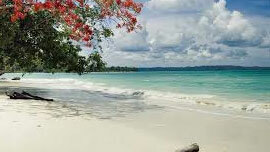 38 km from Port Blair, Havelock Island offers virgin beach, unpolluted environment and camping facility. 135 km from Port Blair, Barren Island is the land only active volcano in India and its crater rises abruptly from the sea. Right in the heart of the "spice coast" just an hour from Cochin and even less to Alleppey(also Known as Alpuzzha) is the most fabulous stretch of soft sandy beach fringed with palm, an idyllic retreat for those who want to "get away from it all". Marari originates from "mararikulam", one of the local fishing villages, where life still goes on much as it did a hundred years ago, with the men going out to sea each day to earn a living bringing in the daily catch. Marari offers endless miles of superb sand beaches backed by swaying palms, virgin territory where you can experience to local charm and traditional keralan hospitality at its best. The Marari Beach is built in the style of a traditional fishing village with thatched villas that have been designed to be in keeping with the local village style. And here, amidst the coconut groves is the Marari Resort. Like the other resorts in this hotel chain viz Spice Village, Coconut Lagoon etc, Marari Beach Resort is also constructed with a strong ethnic flavour. It has 48 cottages and 3cottages with private swimming pools. The restaurant serves delectable fare, both Indian and Continental, there is a large swimming pool also on location. 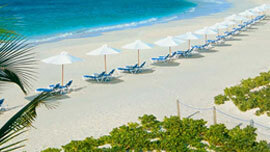 Come to India for a fabulous beach vacation and have an enjoyable holiday in India surrounded by sun, sand and sea. Sunbathe on a golden beach, walk along the shore and feel the waves splash over your feet, go snorkeling or scuba diving in crystal clear waters, build sandcastles on the beach, relax under the cool shade of tall palm trees, and feast on tasty seafood cuisine. 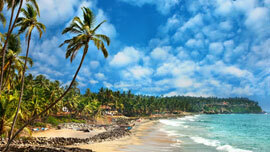 The beaches of India offer memorable holidays, that you'll remember forever. 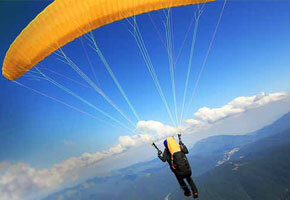 Holiday on the sunny beaches of India and have a delightful vacation filled with sunny memories. 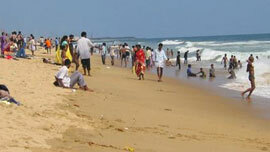 The Top Beaches of India are like a paradise by the sea where you can forget the cares of the world.